There are currently 88,562 users on this website. As far as I know, every American gold and silver coin large enough has an eagle on the back. Some are majestic, powerful and inspirational. The soaring eagle on the SLQ bespeaks freedom, the Morgan's beauty is timeless. The historicity of the Capped Bust/Seated coins is matched only by the Liberty Head gold coins (the ones with the "happy eagle.)" Others, not so much. Because I see shapes in clouds, the Washington quarter reminds me of the Bacardi bat. I see a little bit of the turkey in the beautifully executed Walker. The St. Gaudens $20 looks like a B-52. It seems too fat to fly. Then there's the teeny weeny apologetic eagle on the Franklin that seems to be there only because it is supposed to be. It reminds me of the little Polish eagle on a jar of Polish dill pickles. (Please don't take offense anyone who loves these coins, I'm just stating how they impress me personally). Anyhow, this is a positive poll on favorites. Please vote for your own personal favorite. For simplicity, I have described the choices as broadly as I can. If I miss your favorite, please point that out in a reply. I ran out of room and couldn't include the Gobrecht Dollar/Flying Eagle Cent, which is probably my favorite, but arguably doesn't count. These are not Classics, but if they are, then where is Ike? 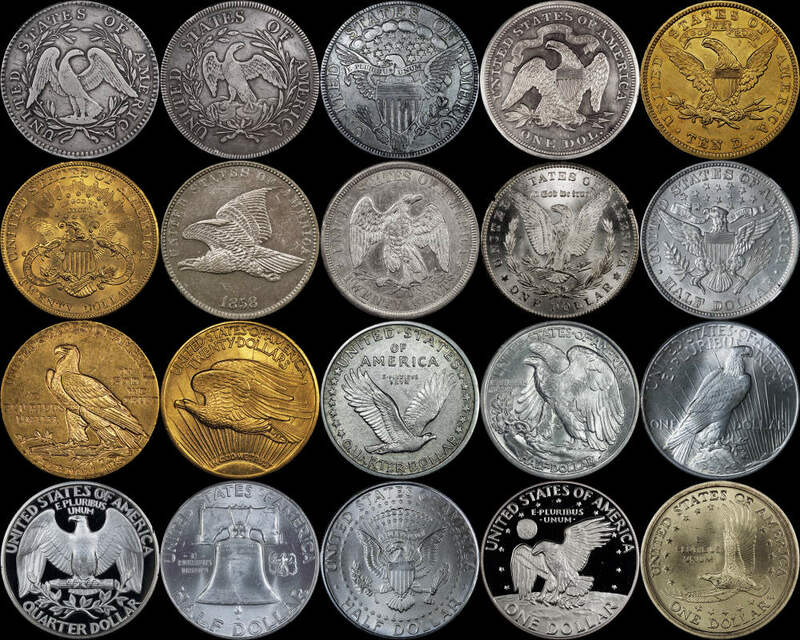 I'm partial, and while not silver/gold you should throw up the Flying Eagle cents! Jbuck, I took the forum definition of 1964 and earlier as cut off for"classic." I don't disagree with you, though. As for Ike, I'm not sure anything will ever beat the eagle landing on the moon. Peace dollar is my vote. Also love Gobrecht dollar and St. G. $20 eagles. If you are taking the entire reverse into account then the Saint Gaudens for sure. 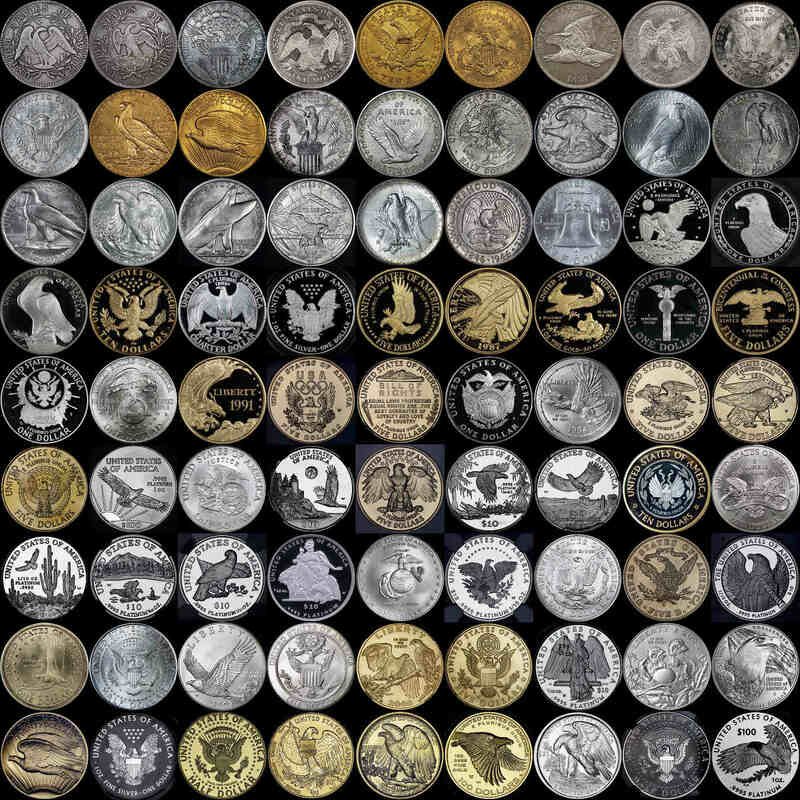 I found it odd that I never thought of all the Eagles on coins. You can see my favorite US eagle in my profile pic. Jbuck, I took the forum definition of 1964 and earlier as cut off for"classic." For what it is worth, this is not how CCF separates them. Basically: Liberty is classic, dead people are modern. And I get it. You wanted to give the people a choice. With Ike in the running, there is only one choice. Of the choices offered, the Walker wins in my book. But, I prefer several of the eagles on classic and modern commemoratives. Two of my favorites are on the 1984 Olympic and the 2008 Bald Eagle Half. Can't forget the art deco eagle on the Bridgeport half as well. From the list provided, I picked the Morgan. My all-time favorite would be the Ike. I am old enough to remember, "the Eagle has landed". I'm torn between the FE cent and the Moon Landing Ike's. They are beautiful! Barber half for me, and I'm not sure why. Maybe it is just the symmetry of the entire reverse that I like. Flying Eagle cent for me. Pretty much any eagle by Gobrecht or Longacre. Don't see them on the poll. After those...in my order of choice. It took 2.65 seconds to rattle this change.